The square brackets are where I have removed all the pipe-specific words and terms. In our minds we can insert harp references, so that we can try to read this as a guide to how to play Irish harp. …any attempt to provide a full chorded accompaniment throughout a tune is bound to be boring. The preferred method, and that adopted by the better [players], is to introduce the […] during the repeat of the tune or a part of it, as a means of varying the arrangement. The picture at the top is a drawing of Tomás Ó Canainn’s hands, from the cover of his book. 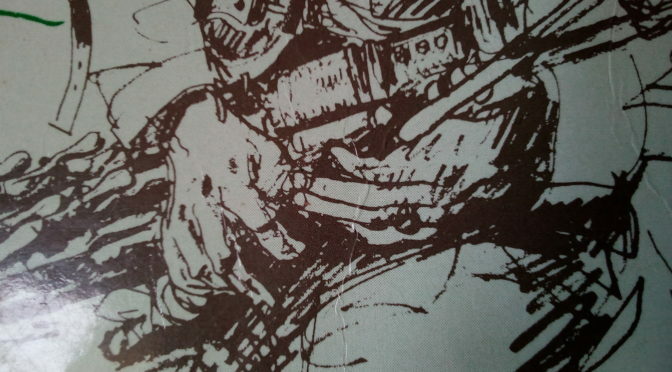 Note that these chordal patterns on the regulators are played with the right hand (see sketch of Ó Canainn’s hands at the top of the page). Just like the right hand is used for the bass on the Irish harp.